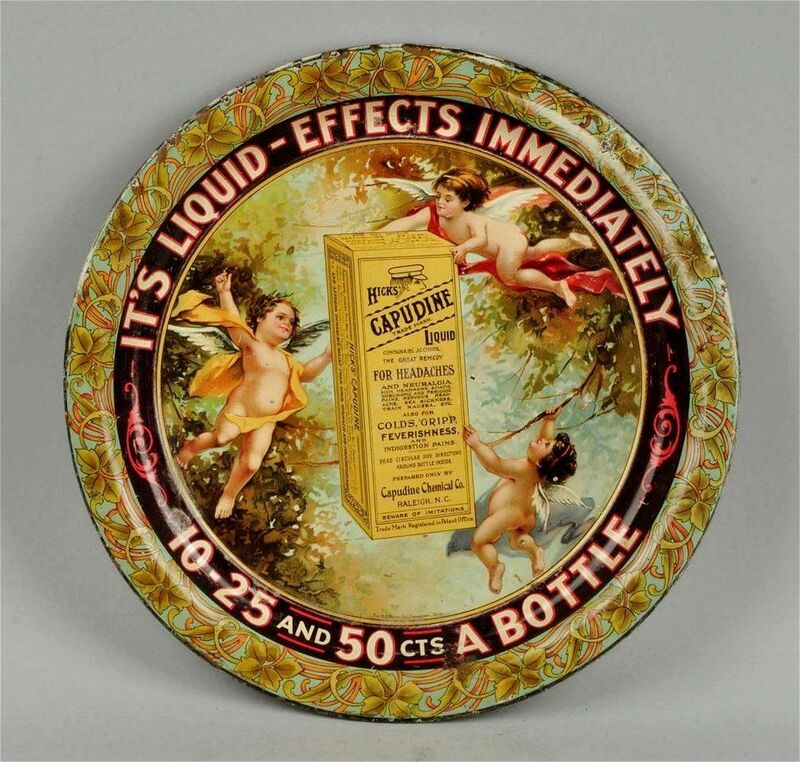 The Capudine Chemical Company based in Raleigh, North Carolina utilized this striking metal tray to advertise their Hicks Capudine Medicinal Remedy Product. Apparently the Hicks Capudine brand of medicine was good for fever, colds, indigestion, headaches, gripp, and pains per the language utilized on the tray. I love the use of the small winged baby cherub angels which was very commonplace for many products in the late 1800’s and early 1900’s. Lash's Bitter Products Rolled Edged Sign. This was a cure for Kidney, Liver and other Medicinal ailments in the late 1800's and early 1900's. Pictured here is an early general store or veterinary counter type display wood cabinet from the Dr. Lesure Remedy Company, based in Keene, New Hampshire. Dr. Lesure was one of the most prominent early veterinary suppliers for all medicines for livestock owners, and in particular with a focus on horse equestrian supplies. 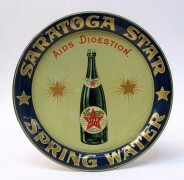 Early serving tray from the Star Bottling Company in Saratoga Springs, New York. 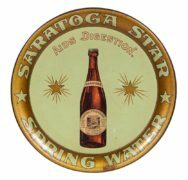 The Saratoga Star Spring Water was sold as an aid to digestion by the Saratoga Water Company in Saratoga, New York. Circa 1905. 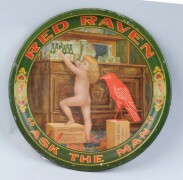 The Red Raven Splits brand was sold before prohibition as an elixir for headaches, indigestion, and nausea. This brand was known to be a remedy for hangovers. Circa 1910. 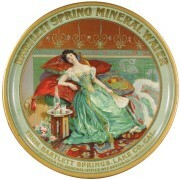 Bartlett Spring Mineral Water, Bartlett Springs, Lake Co, CA. 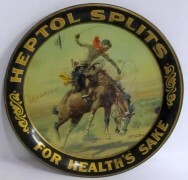 Metal Serving Tray, Circa 1910. The tray features their local office address on Sutter Street in San Francisco, CA.